Chelonoidis phantasticus, or the Fernandina giant tortoise, was feared extinct until an expedition found a lone female in a remote area on the island of Fernandina. 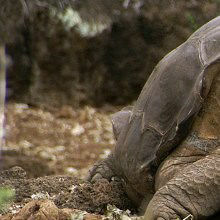 The world’s last Pinta Island tortoise died this past weekend at the age of 100. 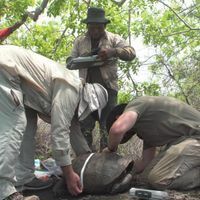 Conservationists working in Madagascar are doing the unthinkable—defacing the shells of endangered ploughshare tortoises—but it may be the animals’ last hope.